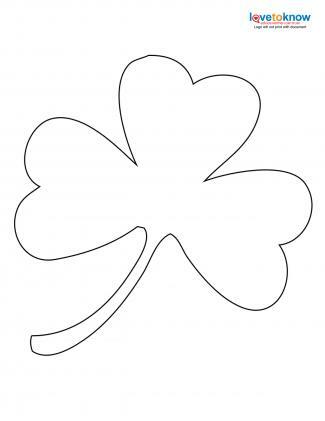 Shamrocks can be tricky to draw freehand if you're trying to make them perfectly symmetrical. Using printable patterns makes quick work of creating shamrocks, no matter how many of them you want to use in your project. 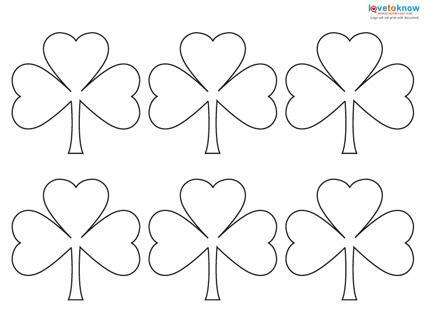 These shamrock patterns are downloadable and printable. Click on the image to get a PDF you can download to your computer. If you need help downloading the printables, check out these helpful tips. Print out the patterns and use them as templates on paper, cloth, felt, vinyl or any material you can think of. 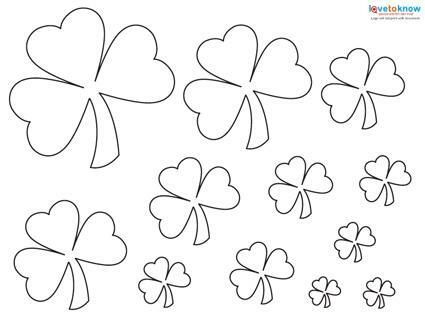 This page features six, large shamrocks, ideal for smaller hands to cut out. These shamrocks come in straight or slightly curved appearance to better suit a variety of projects. These shamrock sizes vary depending, ranging from large to smaller. This is ideal for a project where you need a variety of sizes. Print the pattern out on heavy card stock and cut out the shapes. 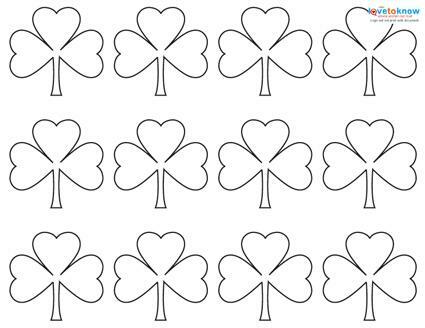 Trace around the cardstock shamrock again and again to leave the pattern behind on any material. 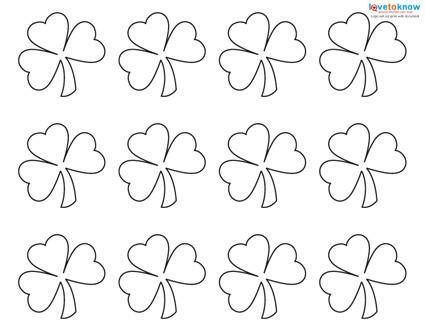 Cut out the centers of the shamrocks and use the entire sheet as a repeating pattern or stencil. 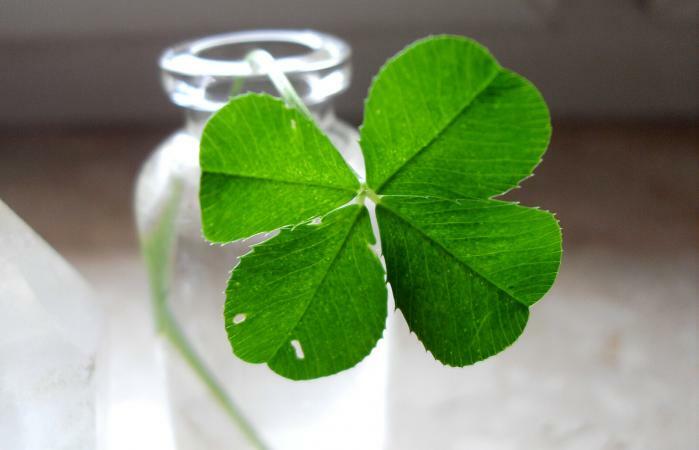 Print the shamrocks out directly onto green cardstock, cut them out and use them as ready-made decorations. Use them in cake decorating by cutting them out, placing them gently on top of a cooled cake, and sprinkling powder sugar over the cake. This will leave the print of the shamrock outlined in powdered sugar. Print on plain white cardstock and cover with a variety of green, printed paper - wrapping paper, origami, or even something you color in yourself. With so many different sized shamrocks to choose from, you'll have no trouble embellishing even the most simple St. Patrick's day craft. Whether you choose to layer the templates with stencils for 3D looks or you just want to liven up your Irish crafts, use these templates to add a touch of Ireland to any craft idea. Perfect for scrapbooking or journaling, you'll never run short of Irish options for all your crafting projects.